1/2 & 1/2 style saree. 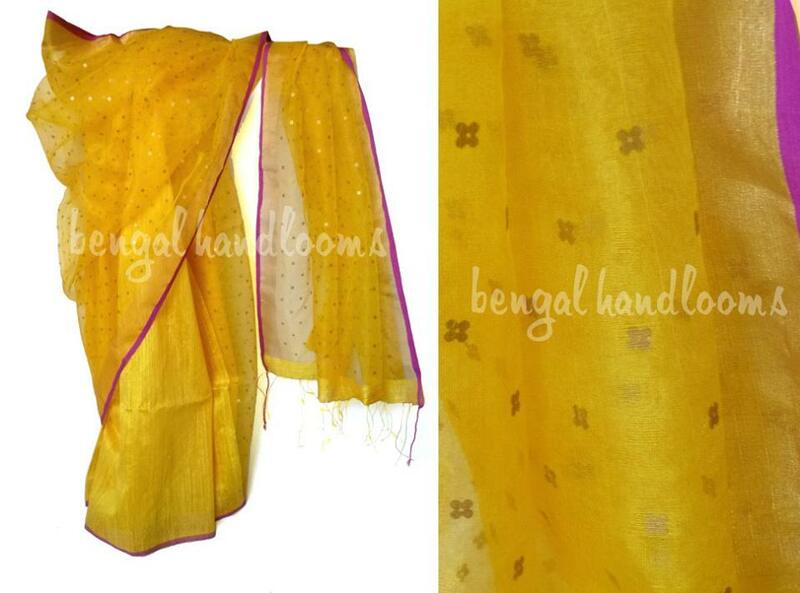 Pallu half : pure silk with allover woven sequins. Pleats half : silk X matka – plain weave with running blouse piece. Colour – canary yellow.